View More In Wheel Adapters & Spacers. 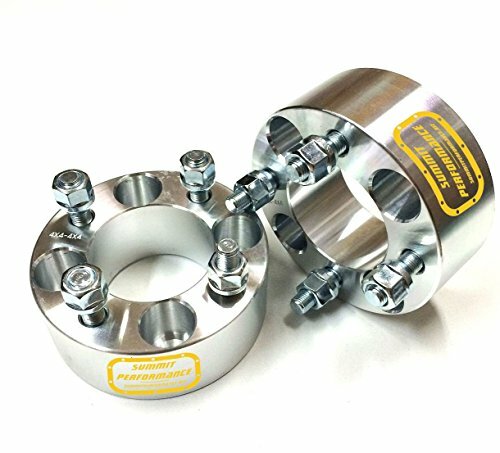 New set of 2.0" wheel spacers exclusively manufactured in the USA by and distributed only through Summit Performance, trademarked and logo insure authenticity. This set will increase the width of your Yamaha cart by 2.0" per wheel for a total overall of 4.0". A must have for all carts especially if lifted as they provide the extra clearance need for lift kits and lowers the carts center of gravity. China is currently flooding the US market with poor quality wheel spacers and Amazon resellers are cashing in on them, but not us. Our wheel spacers are custom manufactured here in our Atlanta, GA facility and CNC machined from solid billet aircraft grade 6061-T6 heat treated aluminum and carry a lifetime warranty. Check out our Summit Performance face book page for videos of the manufacturing process. Will not fit EZGO or Club Cars. We also custom build spacers to your specs, email us with the width and stud size and we'll be happy to quote them. Exclusively manufactured by and distributed only through Summit Performance. If you have any questions about this product by Summit Performance, contact us by completing and submitting the form below. If you are looking for a specif part number, please include it with your message.